1954 Hudson Super Wasp Hollywood hardtop. 1988 Eagle Station Wagon. 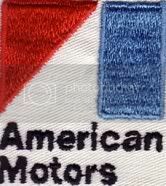 The American Motors Corporation (AMC) was formed in 1954 with the merger of Hudson and Nash. Both independent car companies had been known for their innovations; despite this they were both struggling to remain economically viable. After the merger was completed Hudson's Detroit plants were shut down and all automobile production was consolidated within Nash's Kenosha Plants. And thus began the saga of the American Motors Corporation. The last independent U.S. auto maker which supplied millions of drivers in the United States, Mexico, Australia, and in other countries world wide with Ramblers, Javelin/AMX’s, Hornets, Gremlins, Jeeps and even Pacers to name a few of their well remembered nameplates. Fast forward to 1978. AMC was reeling from lagging sales. Their tried and true, dependable small Concords (based on the Hornet) and Spirits (based on the Gremlin) were not selling well and AMC was cash starved having sunk what development money they had into the innovative, far ahead of its time, but failing Pacer models. AMC was no longer producing their larger models but they were selling tens of thousands of Jeeps. AMC execs knew they needed another niche model but had no serious money for development. So what they do? They reached into their auto and Jeep parts bin and in true AMC fashion came out with a new model that also in true AMC fashion was to far ahead of its time – about two decades ahead of an auto craze that would sweep the nation. 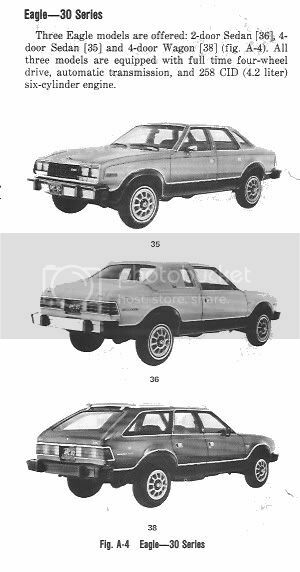 Of course that new model was the AMC Eagle. "Jeep's chief engineer Roy Lunn orchestrated 4WD's next leap ahead when he joined an AMC Concord body with a reconstituted Jeep driveline. Retired AMC chairman Gerry Meyers recalls, "Our initial reaction to Lunn's concoction was, 'What the is it?' The body was raised an extra four inches for transfer-case clearance and the wheel wells were wide open." What became the AMC Eagle was light years ahead of Subaru's simplistic, part-time front-drive/4WD system, thanks to Lunn's creativity and Jeep's experience producing 4WD vehicles. In 1973, Jeep introduced an innovative (for trucks) Quadra-Trac full-time 4WD system. A Borg-Warner-supplied transfer case used a limited-slip center differential to facilitate permanent engagement suitable for all road surfaces. Lunn built on Quadra-Trac's success with a more elegant AWD system for the Eagle. The New Process (later New Venture) model 119 transfer case he selected retained a center differential, but the limited-slip function was now provided by a viscous coupling. This silicone-filled device provided controlled slippage for smooth, dry-pavement cornering with the automatic locking necessary for low-traction conditions. Lunn's other special feature was the Eagle's independent front suspension, achieved by mounting the front differential to the engine block and providing drive to the wheels via universal joints and half shafts. A 4WD car was the next logical step for AMC, according to Meyers. "After the Pacer, we were looking for something fresh and cheap to produce. We had given up on automobiles, and all of our creative efforts were focused on Jeep. So Teague [AMC design chief] took Lunn's 4WD car into the studio to improve the cosmetics by adding plastic skirts around the wheel wells. With the appearance issue solved, producing the Eagle was a no-brainer. "We were so hungry for something different that we didn't bother with market research," Myers continues. "It was, for all intents, a no-cost experiment that began with three Concord body styles in 1980 and continued with two more Spirit-based models in 1981. Sales were sufficient to make us glad we built the Eagles, and our dealers -- especially those in Colorado and New England -- were thrilled to have these unique products." Popular Science writer Ed Jacobs in a 1979 article from the same magazine wrote about the new Eagle, " This new flock of off-road vehicles is designed for people who want the all weather traction and safety of four wheel drives, but don't like the truck-like four wheelers currently on the market. They ride about as comfortably and handle about as well as any other cars their size on the road. Off road they behave more like mountan goats as do their truck like Jeep cousins." 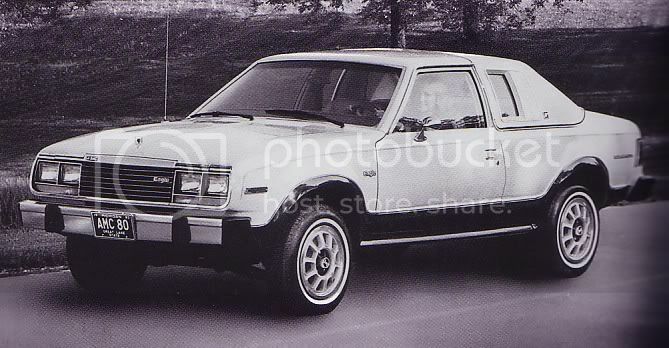 The first AMC Eagles debuted during the 1980 model year and sold well, for AMC through the first few years of production. 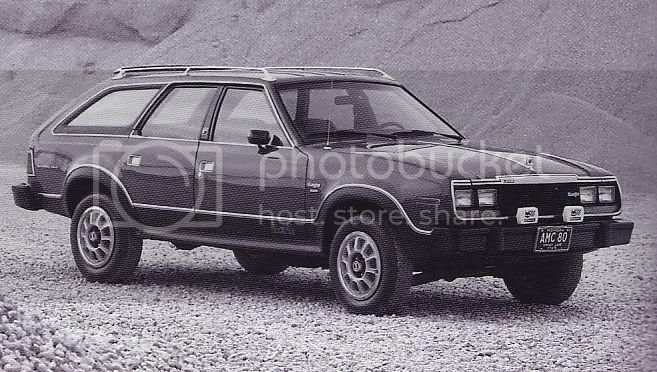 With the merger of AMC and Renault in the mid 1980’s AMC no longer aggressively marketed the Eagle and by the time Chrysler purchased AMC in 1987 the AMC Eagle was down to one model, the station wagon, and sales amounted to only a few thousand cars. September 1979 saw the debut of the1980 AMC Eagle. These full-time all wheel drive vehicles were based on the compact rear wheel drive Concord, which was basically a somewhat upscale version of the popular Hornet. The Eagle was first available in 2 and 4 door versions and as a station wagon. By AMC standards the AMC Eagle was a success with buyers who wanted a four wheel drive vehicle with with the features of a car rather than a pickup. 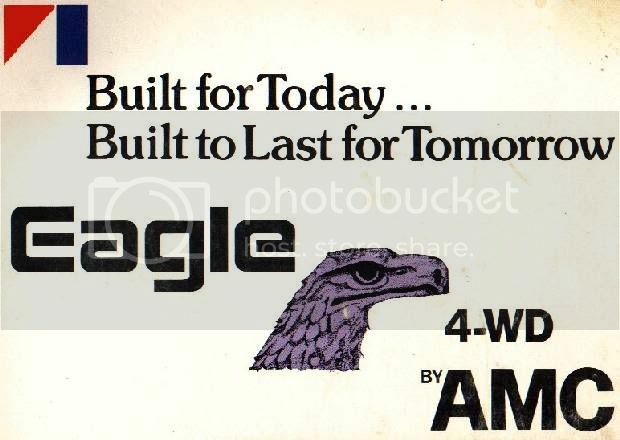 During the first year of production all Eagles were equipped with AMC's proven 258 in-line 6 cylinder engine; an automatic transmission based on Chrysler's TF 998; a New Process model 119 transfer case, and Dana model 30 and 35 differentials. The AMC Eagle was also a test bed for for what would become the SUV's of the '90's. 1980 AMC Eagle four door sedan. Its Concord/Hornet heritage is evident although Eagle's sat 3 inches higher sported 15 inch instead of 14 inch wheels, and had 1 inch longer wheel base. A total of 9,956 four door Eagles were prouduced in 1980. 1980 AMC Eagle two door sedan. The two door 1980 AMC Eagle sedan was the lowest priced Eagle that year and shared the trim level found on the AMC Concord D/L. The Eagle, however, did not display the D/L markings. A total of 10,616 two door Eagles were prouduced in 1980. 1980 AMC Eagle Wagon; destined to be the most popular model and the only model available througout the entire production run. In 1980 its popularity was evident with the production of 25,807 units. Total Eagle 1980 Eagle Production: 45,379. In true AMC fashion this would become the highest production year. To learn more about Eagles and AMC in general check out the links at the bottom of the 1988 page. The strange tale of the last independent auto manufacturer in America.